Abu Dhabi Company for Onshore Oil Operations (ADCO) has been a world-class energy producer for decades – and now it is aggressively expanding its operations. In 2012, ADCO produced 1.4 million bpd and accounted for more than 50% of the United Arab Emirates total oil production. By 2017, the company plans to boost its onshore crude capacity to 1.8 million bpd, a substantial 28% increase, by opening up previously underdeveloped fields for exploration, development, production, and export.1 To achieve this bold growth, ADCO is not compromising on health, safety and environmental (HSE) management but rather embracing it as a driver for progress. ADCO’s business strategy begins with a commitment to “continuously achieve the highest standards in HSE performance,” according to the company’s website. ADCO has adopted an HSE Management System structure to ensure compliance with government regulations, industry standards and corporate policies as well as actively promoting continuous improvement of HSE performance – as prescribed in Codes of Practice outlined by its parent company, Abu Dhabi National Oil Company (ADNOC). ADCO’s leaders realize the success of this management system approach will ultimately achieve dependsupon their organization’s ability to manage HSE information. To meet this urgent need, ADCO launched a project called HEARTS, the HSE Electronic Analysis Reporting and Tracking System. HEARTS is ADCO’s HSE incident and environment management system, which is used by all personnel working at the company, from the operator level to senior management. HEARTS is also the centralized system to track overall HSE compliance and performance throughout ADCO. Next, the ADCO CITD (Corporate Information Technology Division) and HSE teams performed a detailed evaluation of commercial software products that met their technical requirements and had been proven by industry peers. They looked for a comprehensive HSE information system that is web based and user-friendly so it can be used by all employees and contractors. It had to enable timely reporting of HSE incidents and near misses, track actions to minimize their impact and prevent recurrences, and support complete incident investigations. It had to demonstrate full compliance with ADNOC Codes of Practice, UAE laws, and international standards – including ADCO’s ISO 14001, 9001 and OHSAS 18001 certifications. In 2006, ADCO chose IHS Essential Suite, part of the IHS EHS and Sustainability Solutions, as the unified enterprise software platform for HEARTS. 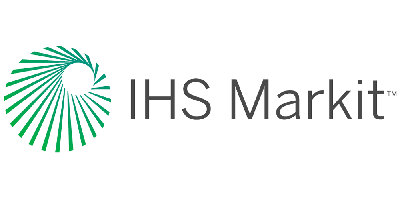 The IHS SPECTRUM Excellence Awards honor organizations that demonstrate leadership in the use of advanced information systems and best practices to achieve environmental, health and safety (EHS) and sustainability business goals. No comments were found for ADCO Pairs Compliance with Performance in HEARTS – HSE Electronic Analysis Reporting & Tracking System. Be the first to comment!